An update to last year's Nikon P330, the P340 brings a new control ring, WiFi, and little else. This review was published on September 30, 2014. Since then, this product may have been discontinued or replaced. Pricing and availability may differ from what is stated in the review. With smartphones devouring the point-and-shoot market, only the major manufacturers seem to be still churning out full-fledged point-and-shoot lineups. 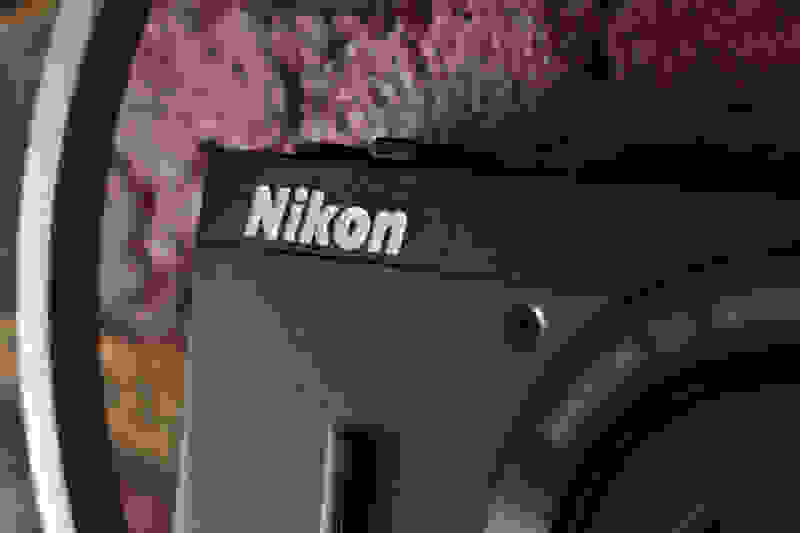 Nikon's current crop is perhaps the most robust of all the major manufacturers next to Canon, replete with low-end, high-end, and mid-range options. On the higher end of the mid-range is the new Nikon Coolpix P340 (MSRP $379.95, $350 and under on sale), featuring a good mix of ease of use, advanced controls, and a new control ring around the lens. The P340 sports a 1/1.7-inch 12.2MP CMOS sensor, 25-120mm f/1.8-5.6 lens, 1080/30p video, and fires off 10 shots at approximately 10 frames per second (fps). If that sounds familiar it is because they are the exact same specs as its predecessor–the P330. After making real changes between the P310 and P330, Nikon has put the brakes on and focused on small iterative changes this time around. The problem with the P340 isn't that it is on the wrong track, but rather that it's gone mere inches down said track. The P340 is nearly the same camera as the previous P330 with WiFi, one stop higher max ISO, and a customizable lens ring. With P330s still available, is it worth opting for the latest model or should you go bargain hunting for its predecessor? Swap GPS for WiFi and call it a day. 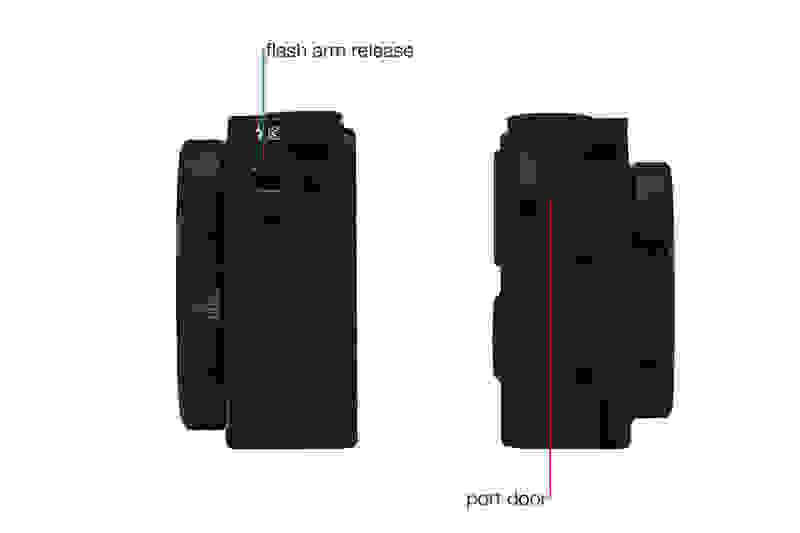 Nikon changed very, very little about the P340 compared to its predecessor. The P340 design is the spitting image of the P330–and the P310 before it and the P300 before that. The only notable difference on the outside is that the GPS logo that sat atop the P330 has been replaced with one calling out the new WiFi functionality. It's a straight swap, but at least it's one that you should find more useful more often. Just like the other P300-series cameras before it, the P340 is a sharp-edged, rectangular camera with only a minor sliver of rubber for grip. The main draw in the handling department is the lack of weight (only 6.9oz), which tends to overcome the camera's mediocre ergonomics. The grip could be better, but given that the lens is just a 5x optical zoom it's pretty easy to keep it steady. The "grip" on the P340 is hardly useful, but it does help it look like it is comfortable. Shooting with the P340 is simple, but there's enough advanced controls to appeal to shooters of all stripes. The controls are robust without going overboard, with enough creative options to keep anyone busy. 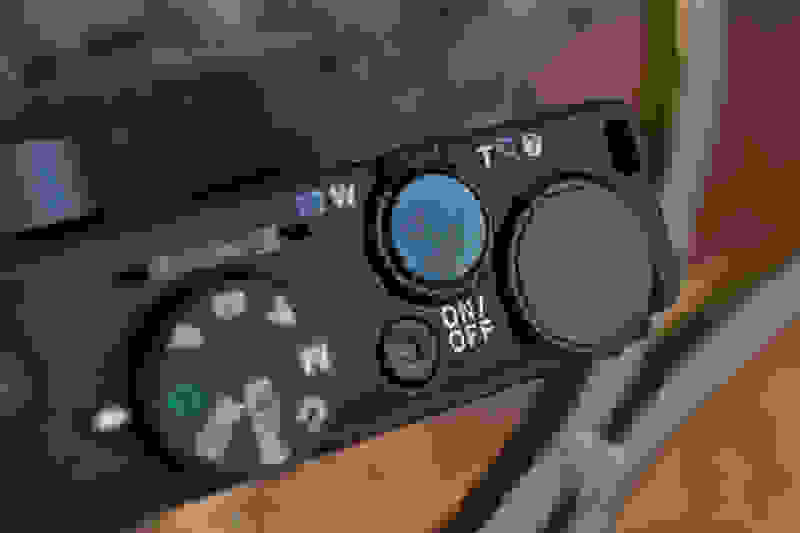 There are two options for control dials—one on top of the camera and the other around the lens, which gives you instant access to two different settings at once. 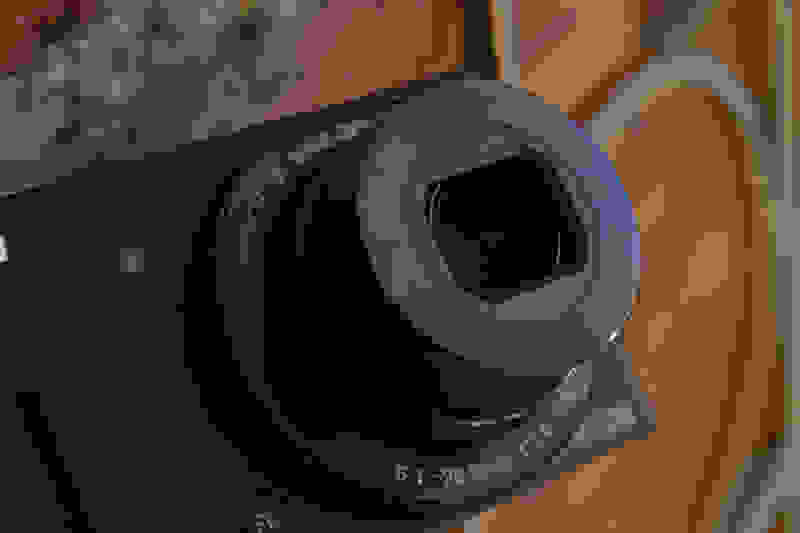 Nikon bafflingly left this control off the P330; even though it looked like the P330's lens ring should turn, it didn't. Around the back of the camera, the 3-inch, 921k-dot screen is the same from the P330 and as such, does not have touch or tilt features–which would've been a worthwhile addition considering the price. The rear of the P340 is identical to all the P300 series. 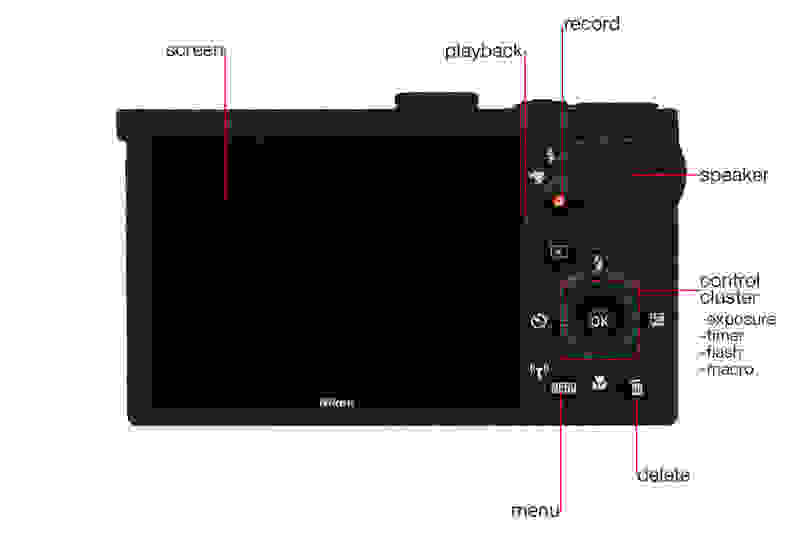 The menu layout is exactly as seen on dozens of previous Nikons, with vertically listed menus that drop into sub-menus. Not only did the P340 inherit an identical menu design, but it's also just as clumsy and slow as last time around. The P340 is frustratingly slow when performing any actions. It's something that we've seen other manufacturers improve substantially in the last couple of years, and it's disappointing to see it not be addressed yet by Nikon. Not only did the P340 inherit the P330's menu design, but it's also just as slow as it ever was. 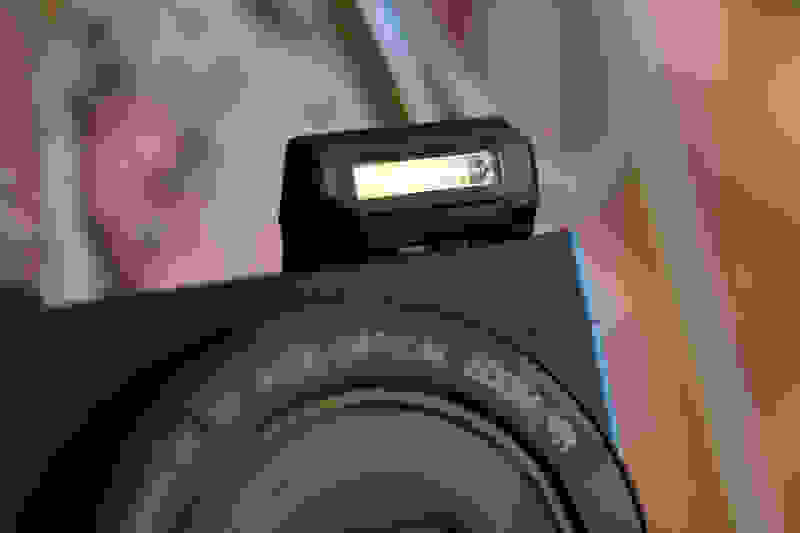 The operating speed is not only annoying to the user, but it compromises the main reason someone would buy a compact point-and-shoot—the ability to quickly grab your camera and capture a moment. From startup, the P340 takes around five seconds before it is actually capable of capturing an image, which is an instant turnoff to anyone looking for a portable and fast to use camera. Out of curiosity we timed how long it took to pull a pro-level DSLR out of a bag, mount a lens, and shoot a photo. This whole process took all of 7.284 seconds–only about 2 seconds longer than the start-up of the P340. The P340's 1/1.7-inch 12.2-megapixel CMOS sensor and 5x (24-120mm equivalent) zoom lens with a fast f/1.8 aperture at full wide angle is the same used in the P330. Seeing how two of the biggest factors in performance are the same, it is not surprising that the P340 performed much like the P330 did when it hit our labs. All color modes are remarkably accurate under the ideal conditions of lab testing. 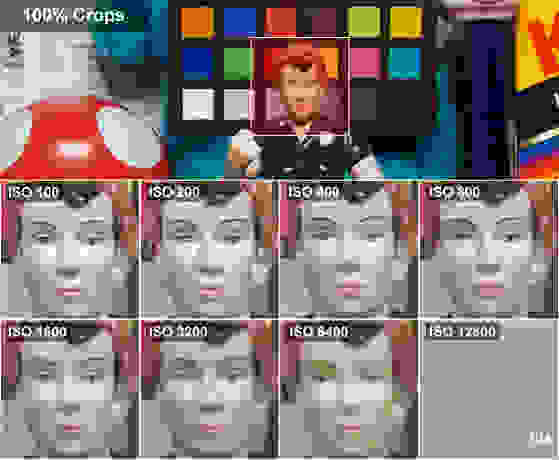 Color performance–as far as color accuracy–is on par with pro-level DSLR's while using the "Standard" color mode. We did find it to be quite undersaturated, but this can be remedied with post-processing or by switching to the "Vivid" JPEG setting. 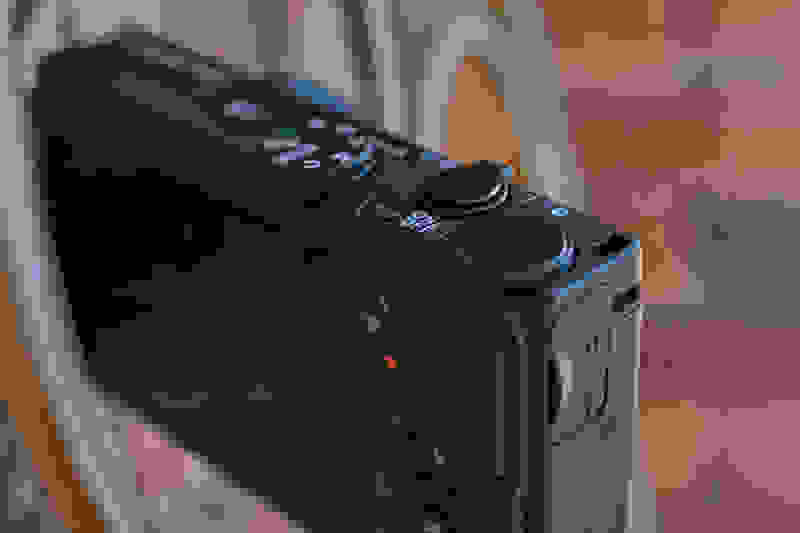 You can also just shoot in RAW, applying whatever color tweaks you want with the uninterpolated data. The sensor and lens work wonderfully together to produce sharp images on-par with cameras in its price range. We observed the sharpest images when at 24mm and gradually lost sharpness as we zoomed in. 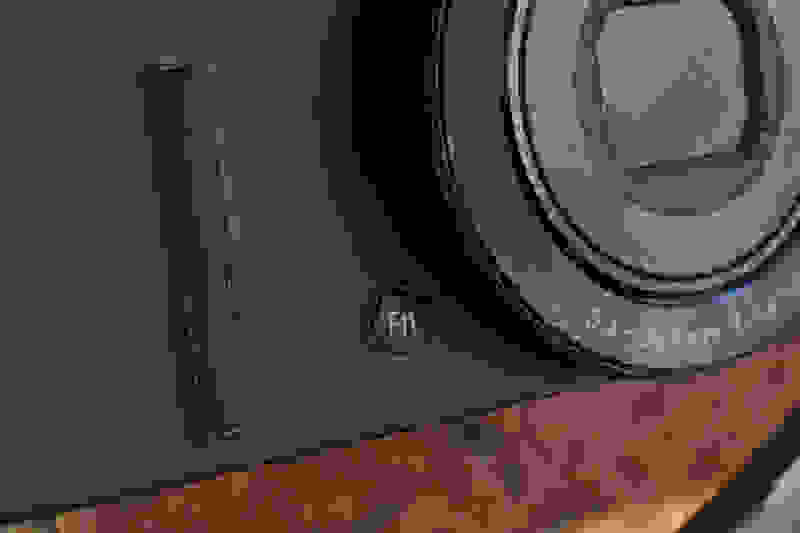 The P340 tries to compensate for this in JPEGs with a dose of over-sharpening as you zoom in. There's also some slight barrel distortion throughout all focal lengths, but nothing to call home about for a compact camera. The P340 has a 5x optical zoom and can get up to 10x with the digital zoom. Nikon did manage to squeeze an extra stop of high-ISO shooting out of the P340 sensor, with the camera now topping out at ISO 25,600. Though it has this increased capability, we do not recommend ever using it unless an emergency. It manages to keep under 2% noise–the cutoff we use for judging noisy photos–with minimal noise reduction through ISO 12,800. We recommend sticking between ISO 80-800 for the best quality, as the noise reduction does begin to smear out more fine details above that. Noise rears its ugly head fairly early on. Video-wise, the P340 still offers just 1080/30p video, but did add 720p options and the ability to shoot standard definition up to 120fps. The video is fairly sharp in both bright and low-light and thanks to the fast f/1.8 lens, can shoot as low as 5 lux–about as dark as a very dim restaurant. It's not as good as a dedicated camcorder or even the newest smartphones, but for a point-and-shoot in this price range it's acceptable. You get what you pay for...just about. The P340 is now Nikon's mid-range point-and-shoot, just above the bargain-basement S9000 series and just below the enthusiast cameras like the P7800 and Coolpix A. As such it balances nicely between advanced features and appealing to beginners who want a simple camera. It's a balance that Nikon struck well with the P330 so we're not too stunned to see the P340 have basically the same collection of modes and features. The one big addition is built-in WiFi connectivity. WiFi is nothing unique at this point, but on the P330 it offers users the ability to transfer files, shoot remotely, and share them via Nikon's Wireless Mobile Utility (iOS or Android). It's a nice addition and one of the main reasons to go for the P340 over the P330, but it's hardly worth the $50 markup alone. 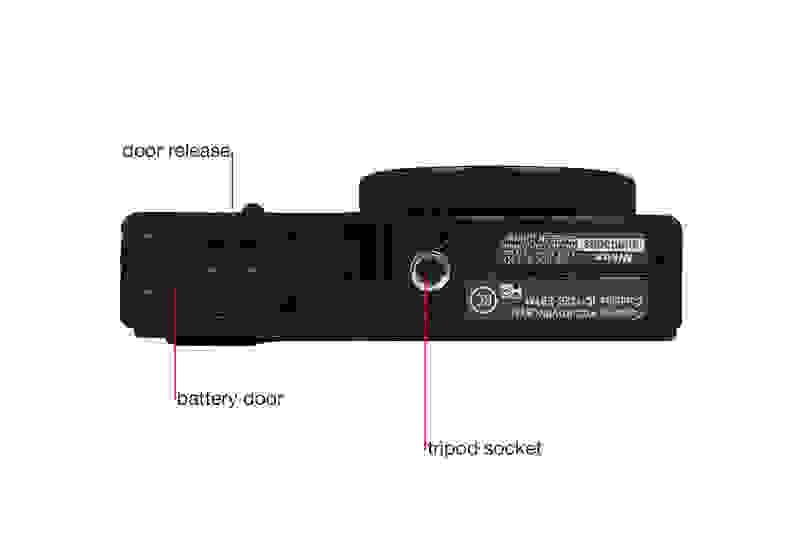 The function key on the front and ring around the lens can be set to control multiple settings. The next major change from the P330 is the addition of a customizable lens ring. This is something that lots of cameras offer these days and we're all for it. It's a useful addition even for entry-level shooters and—assuming you properly support the camera with your left hand—is easy to operate at any time without changing your grip on the camera. 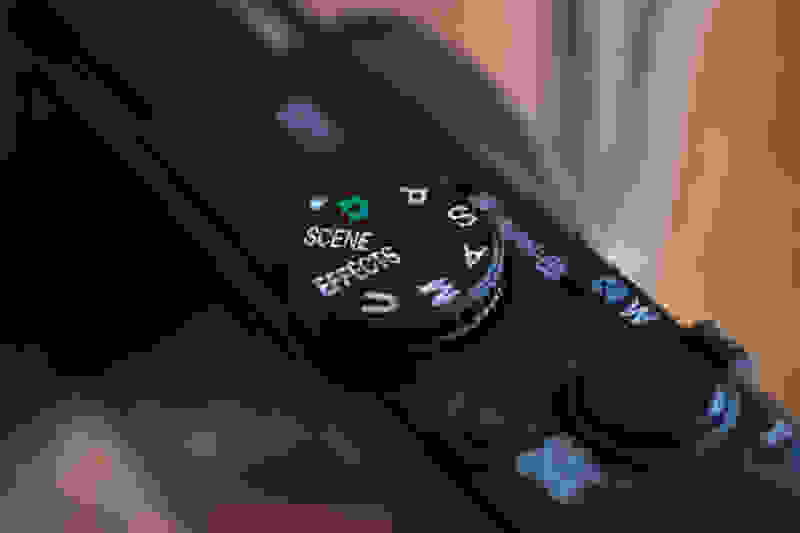 You can set the ring to control one of several different settings such as ISO, aperture, or shutter speed. The ring in this instance lacks the solid clicks of Canon's superb PowerShot S120, but it's better than nothing. 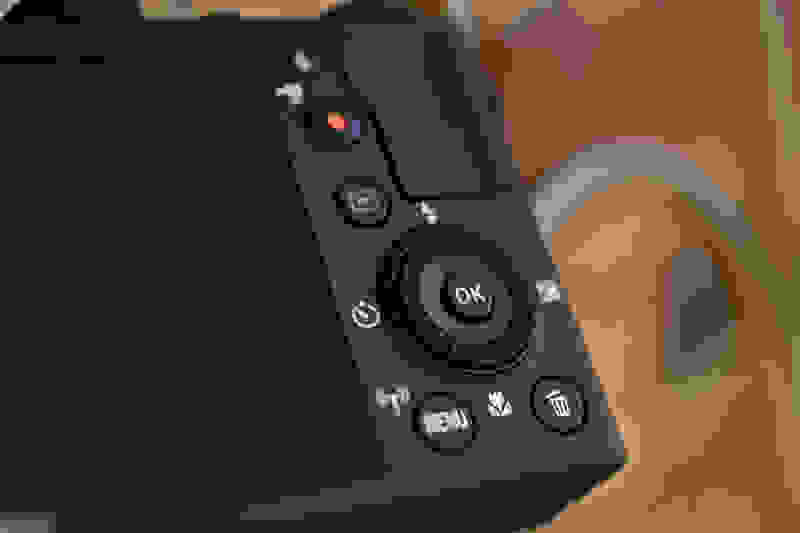 For more creative-minded shooters who want to do some editing on the fly, Nikon has also added several new "Creative Effects" modes. You can select the Creative Effects on the mode dial and even preview what the finished image will look like on the rear monitor in real-time. Cross process, selective color, painting, and high key are a few of the effects available, giving you some extra options to spice up your photos. 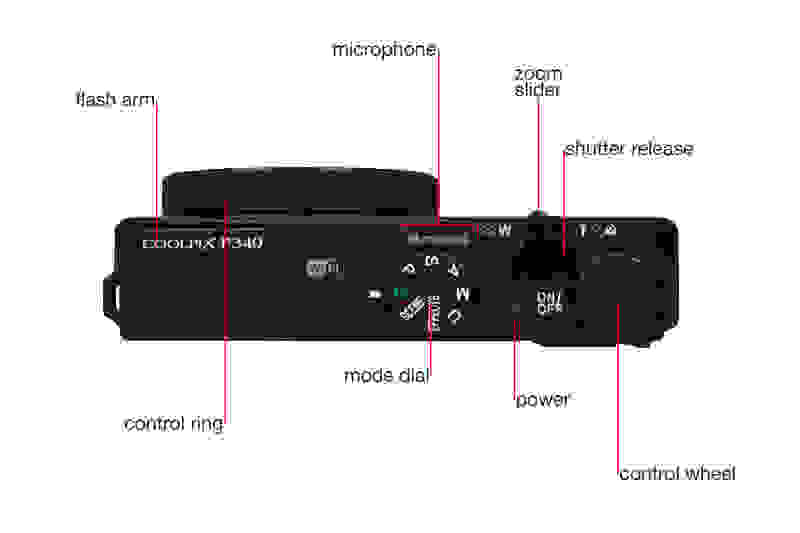 The mode dial on the P340 gives users an easy way to switch shooting modes. If we have one big reservation here it's that the P340 lacks a tilting screen or an EVF. As with other point-and-shoots the screen here simply doesn't get bright enough to be visible on very bright days, which makes it difficult to shoot with at times. Not a lot of cameras in this class feature something like that at this price point, but we were really hoping for Nikon to shake things up a bit. 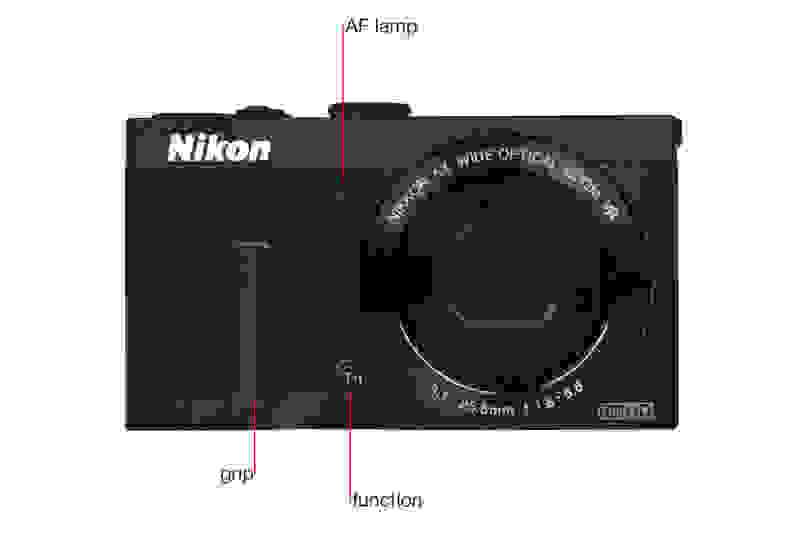 A minor, wholly underwhelming update to Nikon's best mid-range point-and-shoot. 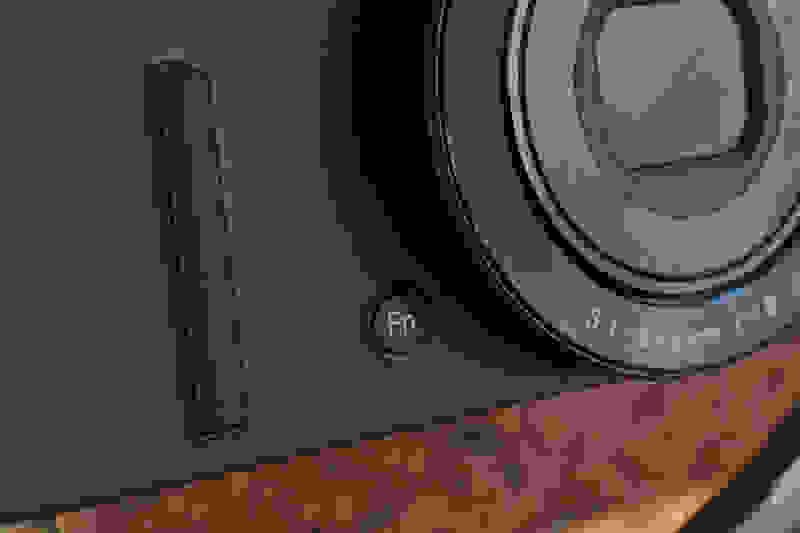 With smartphones slowly–but–surely killing off the compact camera market, dedicated cameras have to do quite a bit to justify the investment. Why would you spend upwards of $350 on a camera when you've likely already got a serviceable one in your pocket? In the P340's case, the reason for picking one up is the fast f/1.8 maximum aperture, useful 5x optical zoom, and very solid image quality—even in low light. Unfortunately, that was the exact same case that the P330 made last time around. The shutter is a bit gummy, but gets the job done. The P340's only notable addition is WiFi, which is useful at times but hardly a game-changing feature these days. And while The P340 is a decent performer in the lab and vastly superior to your smartphone's camera, it is slowed–literally–by the lack of speed in the menus and the molasses-in-January powerup time. 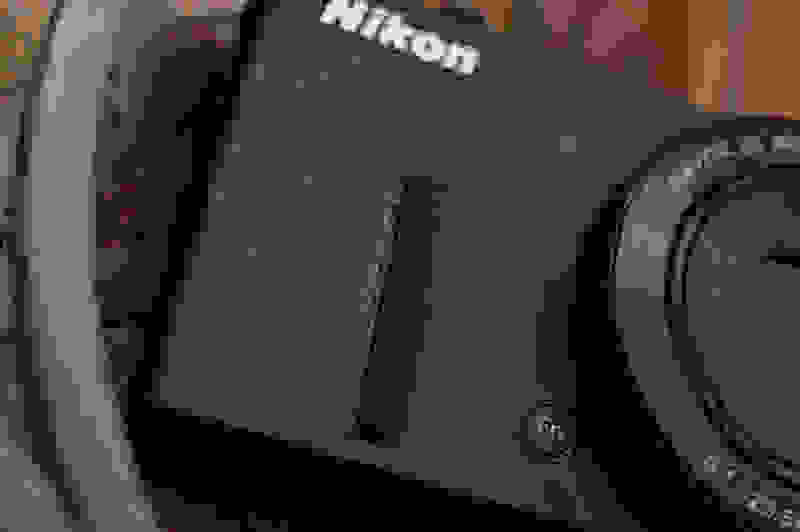 We are big fans of the new control ring and have always enjoyed the no-nonsense design of the P300-series cameras, but we were hoping for Nikon to push the envelope much further than this. We have always enjoyed the no-nonsense design of the P300-series cameras, but we were hoping for Nikon to push the envelope much further than this. Ultimately, there's nothing truly dreadful about the P340. It's slow to boot up, but the images are quite good, the control scheme is nice, and the camera handles well. The issue is that the market is packed with cameras that are just as good, often for much less money. Cameras like the Canon PowerShot S120 and the older S110 offer the exact same package with a better menu, snappier operability, and better all-around performance for as low as $199 on sale. If you buy the P340 we doubt you'll be disappointed, but if you're dead-set on getting a brand-new Nikon we recommend either stepping up to the far nicer P7800 or trying to find a discounted P330 before stocks run out. The P340 has a pop-up flash for areas that the f/1.8 lens isn't enough. The rear control wheel is one of two ways to change settings without going into the menus. The AF lamo is built in and doubles as a countdown light for self-timer shots. This is the best depth-of-field you can hope for at f/1.8.